What a tackle there by Joe Simmonds as he saves a certain try!. Ian Whitten (Exeter) is shown a yellow card. Freddie Burns curls the ball too far, missing the posts to the right. A stunning solo try from Chris Cook. Exeter make a substitution with Tom Lawday coming on. Exeter make a substitution with Sam Skinner coming off. Henry Slade departs for Exeter. Jack Maunder comes on for Exeter. Spellbinding play by Ian Whitten is finished off with a try. A series of passes by Exeter results in a try for Jack Nowell. 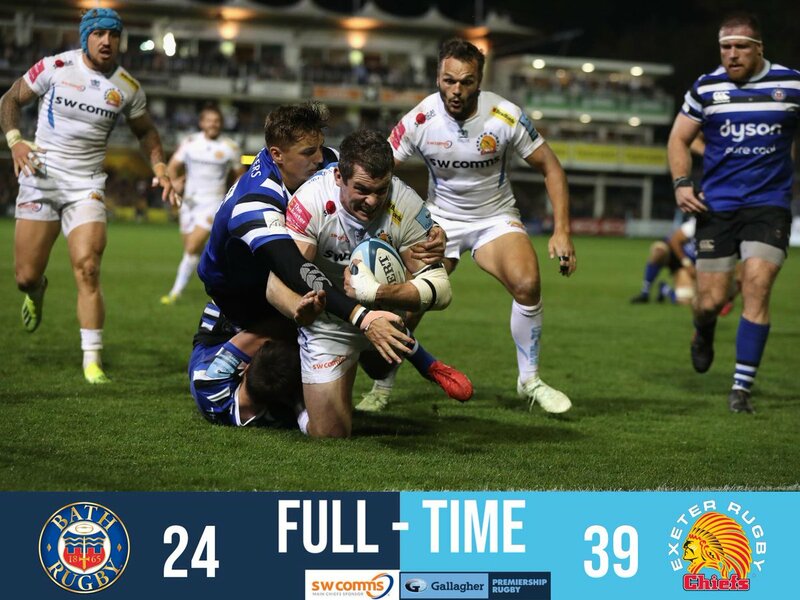 A gap opened in the defence and Henry Slade took full advantage. Bath make a substitution with Jacques Van Rooyen coming on. Bath make a substitution with Nathan Catt coming off. Henry Thomas departs for Bath. Taulupe Faletau leaves the field. Jack Nowell played a key part in that try. Great hands by Exeter leads to a try for Ian Whitten. 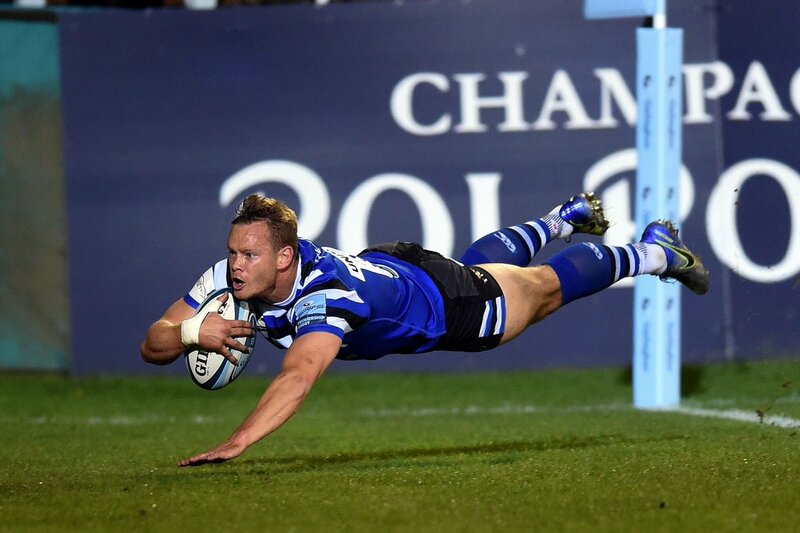 Matt Kvesic scores a try for Exeter. Exeter decide to make a substitution, with Tomas Francis getting some game time. Exeter decide to make a substitution, with Harry Williams being replaced. Exeter make a substitution with Alec Hepburn coming on. Exeter sub Ollie Atkins comes onto the field. Dave Dennis departs for Exeter. Semesa Rokoduguni (Bath) is shown a yellow card. What a run here by Dave Dennis as they gets over the gainline!. Freddie Burns does the business as his penalty goal attempt goes over. What a kick! Don Armand takes full advantage to score for Exeter. Jackson Willison makes the break as the defence re-enacts the parting of the red sea. Fabulous play by Exeter has led to Henry Slade being able to wriggle through a gap. Stu Townsend intercepts the pass to race ahead and score the try for Exeter. Trouble here as Stu Townsend breaches the defence. Semesa Rokoduguni sets up the try. A gap opened in the defence and Tom Ellis took full advantage. The kick through from Bath has allowed Rhys Priestland to touch down. The defensive line has been broken as Stu Townsend goes through the gap. That’s my lot. There’s a kit van to be loaded and an M4 and M5 to be driven. @Steve_Parrett saying good night and have a great week. 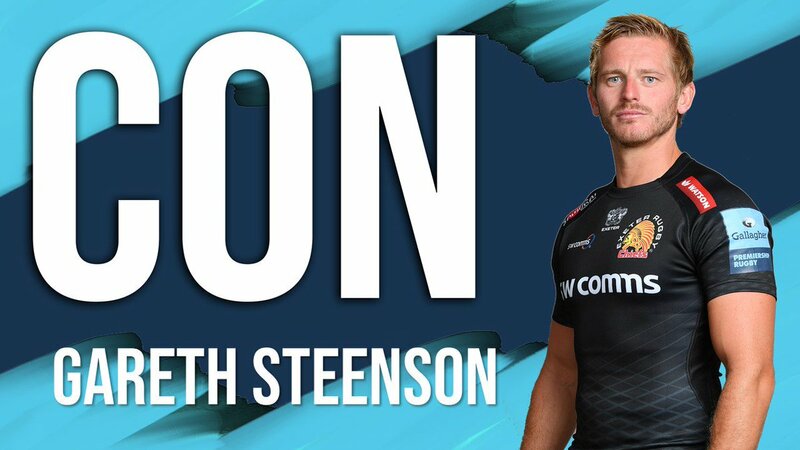 79 Chiefs get the scrum penalty - Steeno running the clock down . . .
77' | Cokanasiga bullies his way over the line after a great break out on the left wing. Call goes to the TMO. 76 Ian Whitten is being shown a yellow card. Third time there has been an off the ball tackle. 75 What A Try! This time for Bath. Not often you see a score off set piece but a neat backs move puts Cook in. Oooops - not sure that spectator will stand up in front of me again . . . .
79' | REPLACEMENT - Atkins for Priestland. 68' | REPLACEMENTS - van Rooyen, Walker Perenise, Cook for Catt, Dunn, Thomas and Green.